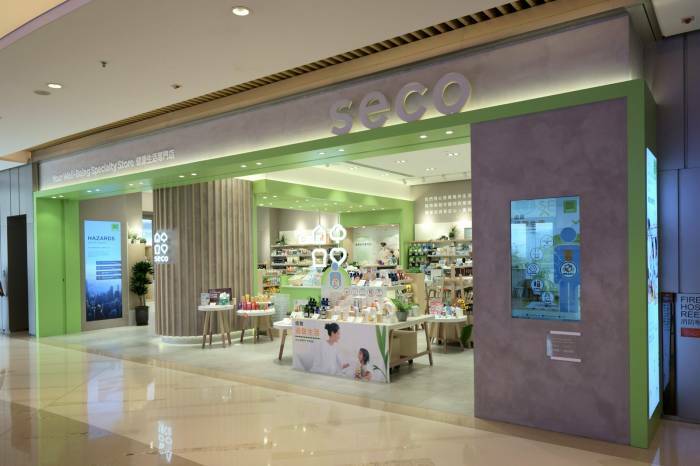 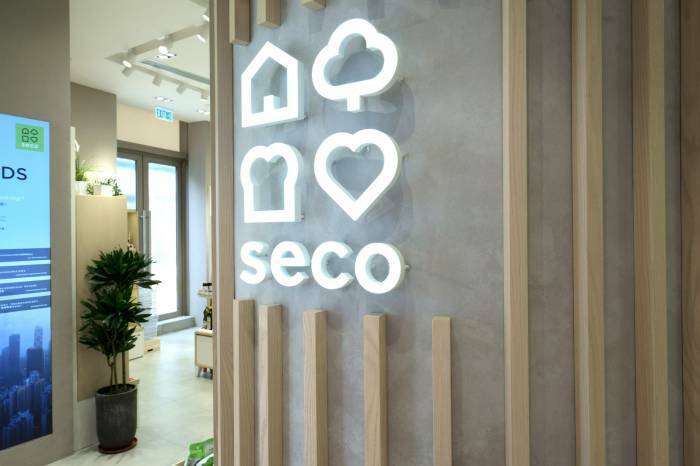 Well being, healthy and caring are the key brand values of SECO. 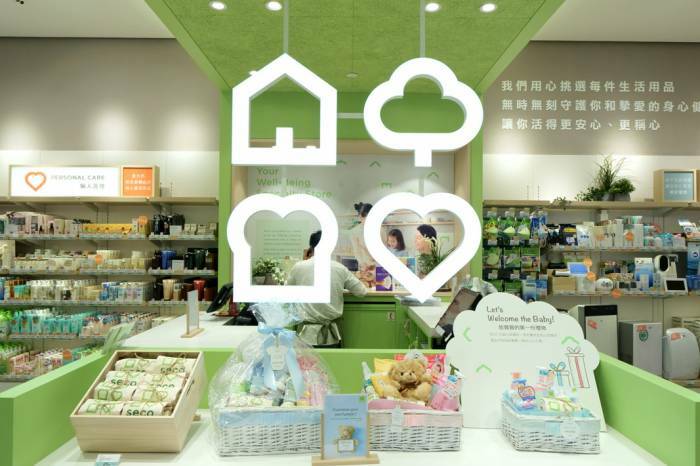 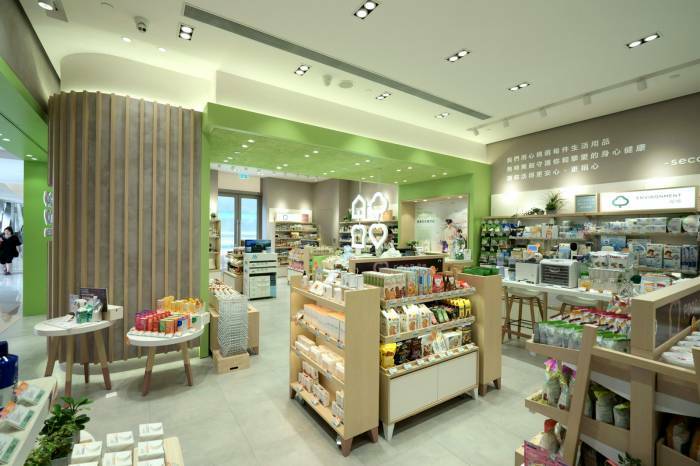 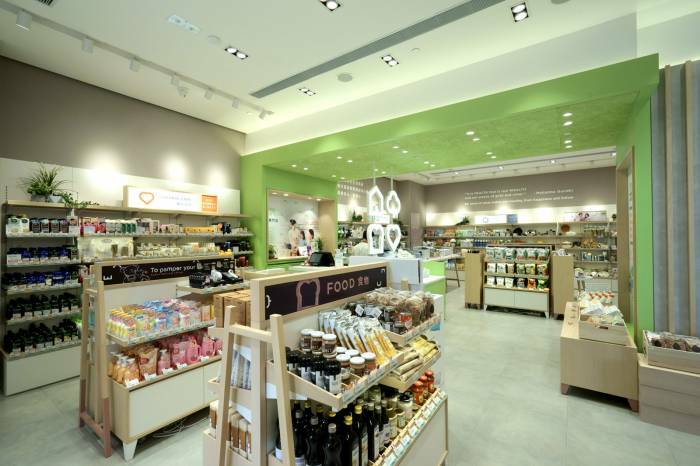 We created a warm and refreshing store image with the use of wood, concrete and wood wool board. 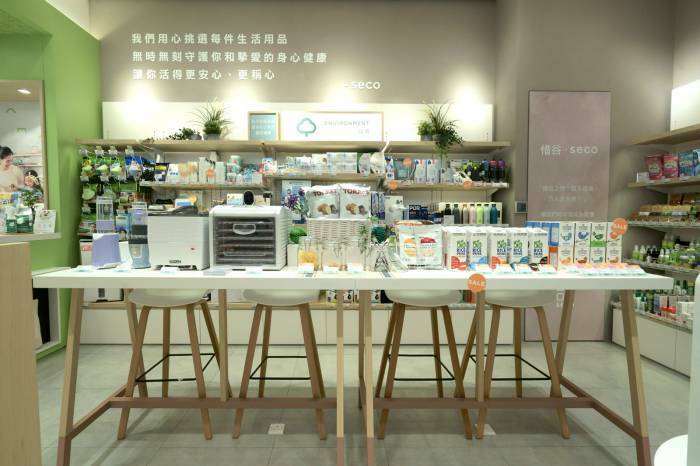 The "service hub" in the middle of store facilitating introduction of focal products, face to face promotions and services.